We convert your manuscript into the eBook format of your choice at reasonable charges. Do you wish to have your eBook reached to a great number of readers across the world? If your answer is a BIG YES, then you will have to get your eBook prepared in Amazon’s Kindle Format (KF8). When you intend to publish your eBook and have it marketed successfully, then, you should definitely opt for Kindle Conversion (KF8), in order to get your eBook published through Kindle Direct Publishing (KDP), offered by Amazon, which is a largely preferred eBook retailer. Missing kindle means you are missing huge sales! Amazon Kindle Format (KF8) conversion is required in order to have the manuscript file of the intended eBook, converted into the file format that is compatible with the different eReader devices of Amazon’s Kindle available in the market. The common input file formats acceptable for Kindle are: Word, PDF, ePub and HTML. Why eBook Enhancers for Kindle Conversion Service? We, at eBook Enhancers, harness our efforts in converting and publishing eBooks in Amazon Kindle format for you in most attractive layouts, tailor-made for global audience. Readers across the globe could access your eBook with a few clicks in any Kindle e-reader device from Amazon. Having formatted a diverse range of eBooks over the years with Kindle conversion, we have honed our expertise to perfection, and can take care of your formatting intricacies with ease, giving shape to aesthetic masterpieces. We do a great job of making file conversions to suite Kindle devices that are available in different configurations, for you to win by launching your eBook for the Kindle e-Reader devices of Amazon, to reach the millions and millions of the reader population worldwide. We involve MANUAL processes, and do not use automated tools, in order to have accuracy and retain originality. Our dedicated team of professionals is skilled in working with your manuscripts that may have simple or complex texts, images, tables, etc., ensuring perfect quality eBook suitable for any Kindle eReader device, made available within a short span. We can carry out the task with any kind of file formats that you submit, including hard copies and scanned copies. You may even submit your manuscripts in a single file format or in a mixture of file formats – we can handle anything well. 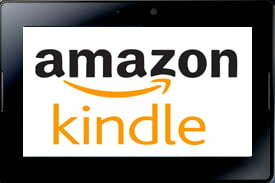 This quality Kindle conversion service is offered by us at an affordable rate. Anybody, ranging from seasoned authors to big publishers may avail our Kindle conversion service at ease and get quality outputs. We are open to any input format including printed matter, which is converted to KF8 at our end. Thorough and exhaustive quality check of the documents is performed to make sure that the output is 99.995% accurate. Our subject matter specialist, the sole link between coder and customer, checks the documents and validates the technical specifications. (.AZW, .PRC or .MOBI). Post coding and formatting of the whole document, there is another round of quality check. Further, proofreading is done with due diligence to ensure error free work. Once through with proofreading, there is a technical check for the book’s multiple device compatibility. The client gets to review the finished work. Amendment requests from the client end are carefully incorporated, and a test run is conducted, prior to delivery of the finished work to ensure 100% error free execution. Should you have any questions? Please check with our FAQ page or contact us through email.